Mantis Hosting is a division of Mantis Technologies Pty Ltd.
Mantis Technologies is a well established web development firm located on the Gold Coast in Queensland, Australia. We have a large number of clients all over Australia and the world and we specialise in the development of sophisticated websites and web based applications using ASP.NET. Our years of expertise in web development gives us the unique ability to provide a very high level of service to our hosting clients. Mantis Hosting utilises the very best infrastructure to give you the very best hosting for your website or web application. 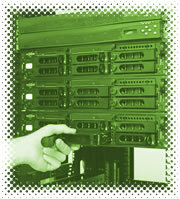 Click here for pricing and more information on our hosting services.